Continuing their successful phone line, Google has refreshed their smartphone lineup. Picking up on similar generational naming standards used by Samsung and Apple, they simply added a generation and introduced the Google Pixel 2 and Google Pixel 2 XL. The dimensions are different versus the first generation of the Google Pixel line. The good news is that if you are upgrading from the first generation, and followed our advice about using a universal mount, there’s a good chance it will fit the new Pixel 2 equivalent. So let’s look at the dimensions of both new phones. The Pixel 2 checks in with a 5 inch diagonal screen. It’s a little larger than the first generation with a 5.7 inch height and 2.7 inch width. They made the Pixel 2 XL even larger than the first generation coming in with a 6 inch diagonal screen height. Naturally it’s a larger phone featuring a height of 6.2 inches and width of 3 inches. These dimensions are very manageable for most modern smartphone mounts. The dimensions might sound large but they fall in line with their competition so mounts aren’t hard to find. Before getting into the mount discussion, be sure to consider a good case. It will save you a lot of pain by preventing damage from drops and other events that will occur during the few years of ownership. We always liked Otterbox a lot and they have come out with the Otterbox Defender for Google Pixel 2 XL. Regardless of the brand you choose, get a good solid case. As we already mentioned, there are some excellent mounting solutions that will fit the Google Pixel 2 and Pixel 2 XL phones. We’ll recommend mounts that will fit both models. Let’s begin with the windshield as it’s the most popular location to mount especially if you plan to use it as a GPS with an application like Waze. Consider the iOttie Easy One Touch 3 Car Mount. This mount features an expandable cradle which opens to 3.5 inches to hold your Pixel 2 or Pixel 2 XL from the sides. The mount deploys a one inch extender for vehicles with a further reach to the mount (like an SUV). There is a sticky suction cup which adheres to most smooth surfaces. It will stick to windshields and plastic dashboards. The phone can turn 360 degrees in the cradle. The manufacturer provides a 1-year warranty. Turn the iOttie Easy One Touch 3 into a dash mount by adding the iOttie Reusable Dashboard Pad. 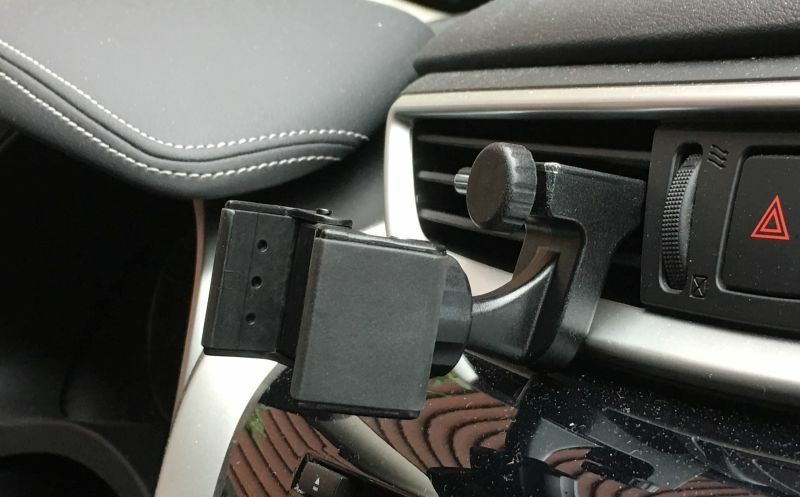 This accessory allows the suction cup to be used on a leather or vinyl dashboard. It’s a temporary non adhesive accessory. The bottom has a sticky surface and the top is smooth like glass. Although no wipe is included, be sure to clean the dash area before application. Now stick the suction cup from the mount to the smooth surface on this dash disk. When it’s time to remove the iOttie Reusable Dashboard Pad, simply lift the tab and remove. Wash the bottom with warm soapy water and let it dry. This recharges the sticky surface. This dash disk is flexible and may suit some contoured dashboards as well as flat. Our other favorite spot for mounting a Pixel 2 or Pixel 2 XL is the air vent. Consider the Square Jellyfish Jelly-Grip Car Air Vent Mount. It’s the one featured in the photo that accompanies this article. The Square Jellyfish Jelly-Grip mount can be used to hold most phone models with or without a case or skin. It has a ball and socket so the cradle so can be tilted and pivoted. You can turn the phone into landscape or portrait. This mount will work on flat vent slats that are 3/8 to 1 inch deep. The included cradle opens to 3 5/8 inches so it’s large enough to hold either model. We reviewed the Square Jellyfish mount in detail in 2016 and it’s still a favorite of ours. A motorcycle requires a good solid mount that will hold your Pixel 2 or Pixel 2 XL securely. The RAM X-Grip line of mounts is a good choice for either model. We wrote a very detailed article on the X-Grip series which you can read here. Consider the RAM X-Grip IV Handlebar Mount. These are well constructed mounts that are mostly constructed of powder coated metal. These mounts feature the expandable X-Grip IV cradle which can open to 4.5 inches and that’s large enough for the Pixel 2 or Pixel 2 XL. These handlebar mounts allow complete 360 degree rotation of your device. The manufacturer now includes a safety tether with these mounts which is a nice added touch. These come with a lifetime warranty from the manufacturer.